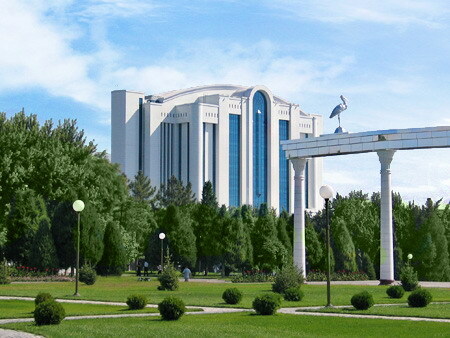 Tours in Tashkent will introduce you to the modern megapolis combined with oriental charm. 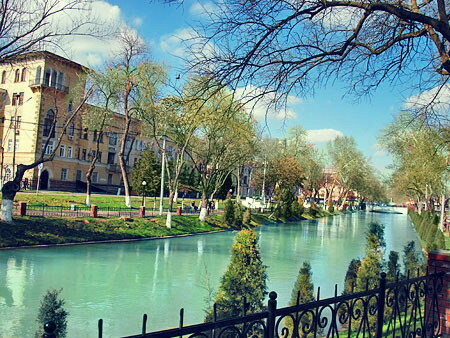 Excursion in Tashkent is an excellent opportunity to see the beauty of a sunny capital of Uzbekistan. 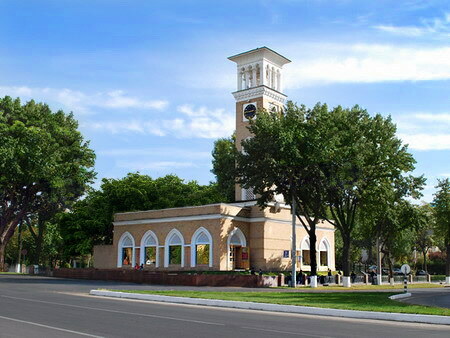 The city is full of avenues, modern buildings, trading centers and recreation parks that are neighboring with hectic eastern bazaars, mosques and medrese in the old part of the town. 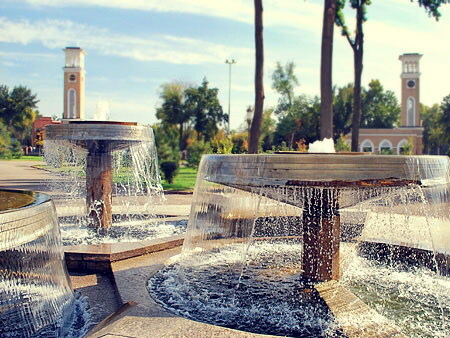 If you are lucky to see the city in spring or summer, when Tashkent is buried in green, you will feel why this city is called an oasis. 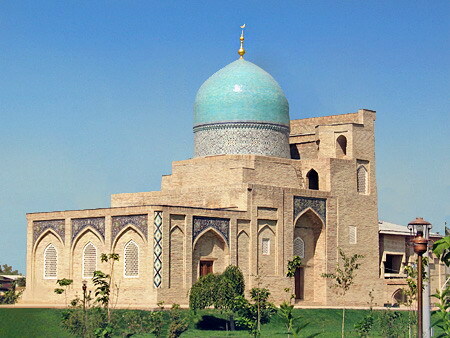 During the tour in Tashkent, you can trace the millennium long history of the city through its sights in the Old Town - mausoleums and medrese of Khast-Imam Complex, bazaars and quartiers that were replaced by constructions of the Turkestan General-Government times, followed by monumental buildings of the Soviet epoch and finally glittering faces of the modern buildings. 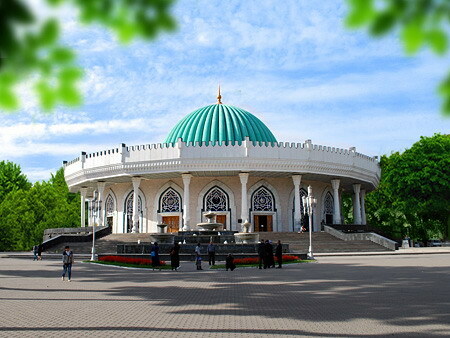 The time connection in your tour in Tashkent will be the metro that connects old and new town, and each station is so beautiful that reminds a museum hall. 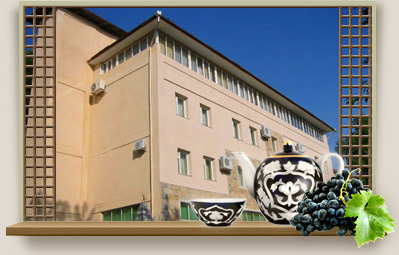 Special point of your travel in Tashkent will be introduction to the Uzbek cuisine. You will try the best plov (pilaf), delish shashlik (barbecue), freshly baked bread, somsa and many other dishes, and diversity of ripe and tasty fruit what Uzbekistan is famous for. It will be one of your unforgettable gastronomic impressions in a lifetime. 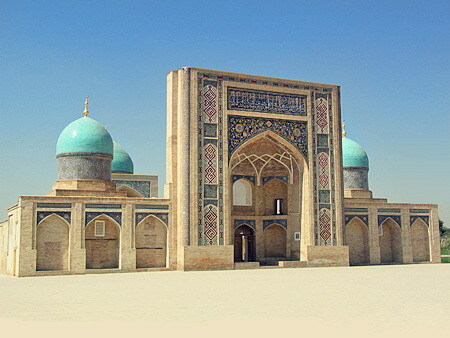 Tours in Tashkent will be in your mind and heart with its warm atmosphere of friendliness and eastern hospitality.